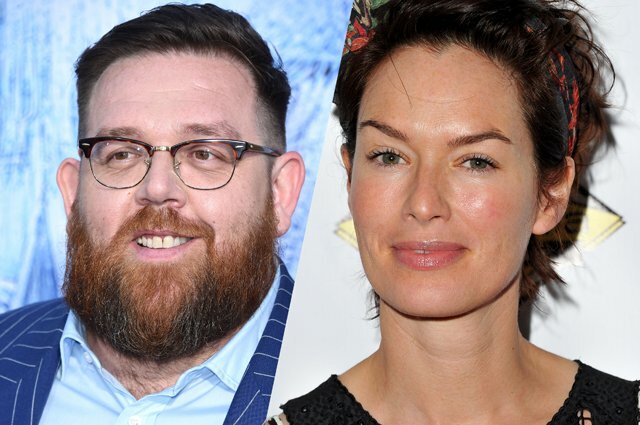 Dwayne Johnson has announced that English actors Lena Headey and Nick Frost have joined the cast of the real-life wrestling comedy/drama Fighting with My Family. The pair will play Julia and Ricky Knight, parents of WWE Superstar Paige. Johnson and Dany Garcia’s Seven Bucks Productions, Misher Films, WWE Studios, and Film4 are all teaming up to produce the upcoming feature film, written and directed by Stephen Merchant, based on the true personal story of WWE Superstar Paige and her family of professional wrestlers. Johnson will also play a role in the film, with rising star Florence Pugh, who will play WWE Superstar Paige, and Jack Lowden, who will play her brother, Zak. The film will start principal photography in Los Angeles and London this month. Very pleased that @nickjfrost will be playing me in the upcoming #FightingWithMyFamily film. The film is inspired by the Channel 4 British documentary The Wrestlers: Fighting with My Family and tells the story of reformed gangster and former wrestler Ricky, his wife Julia, daughter Saraya and son Zak who make a living performing in tiny venues across the country. Ricky and Julia want a better life for their children and when brother and sister get the chance to audition for WWE, it seems the family dream is coming true and all their troubles will be solved. However, Saraya and Zak are about to learn that becoming a WWE Superstar demands more than they ever imagined possible as athletes and siblings. Wrestling has always kept this family together — but now it could tear them apart. Stephen Merchant (The Office, Hello Ladies) has signed on to write, direct and executive produce Fighting with My Family. Seven Bucks Productions’ Dwayne Johnson, Dany Garcia and Hiram Garcia will serve as executive producers. Kevin Misher of Misher Films will produce alongside WWE Studios President Michael Luisi. WWE Studios are co-financing the film with Film4, who have developed the project from its inception.